Parallels: Blank Backs, serial numbered “1/1” on back of card; Gold Foil; Black, Cyan, Magenta & Yellow Printing Plates — each serial numbered “1/1.” Topps distributed the Blank Backs parallels exclusively on eBay via The Topps Vault. These parallels are only for card numbers 1-200, and do not include the high-number, retired played SPs numbered 201-240. Although Beckett’s online guide states that all the cards in the set also have Gold Foil parallels and Printing Plates, I haven’t seen any on the open market for the SPs at the end of the set. Additional Information: Topps replicated four different designs for use in the bast portion of the set: 1954 Topps for card numbers 1-50; 1971 Topps for card numbers 51-100; 1980 Topps for card numbers 101-150; and 1984 Topps for card numbers 151-200. Card numbers 201-240 are SPs replicating other Topps designs and featuring retired players. 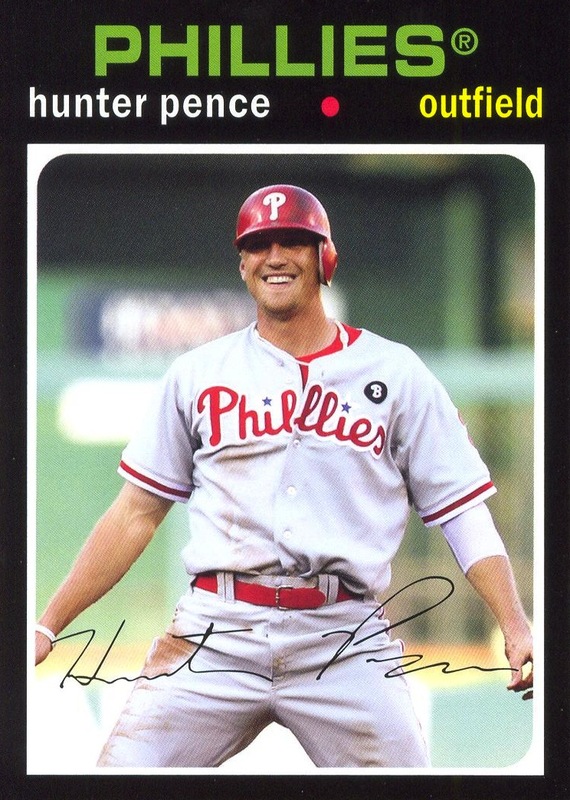 In the checklist below, the year of the Topps set being replicated is listed in parenthesis after the retired player’s name. Each of the retired player SP cards also appeared in the Fan Favorites Autographs insert set. I doubt anyone from Topps actually read this blog, but I’m glad to see that’s almost exactly what they did. 2012 Topps Archives is what 2011 Topps Lineage should have been. I have some minor quibbles regarding the card stock and Gold Foil parallels — not to mention unnecessarily making SPs out of the retired players in the high-numbers — but outside of that, I loved nearly everything about the set and its inserts. In fact, I have acquired every card except for the Framed 1983 Mini Autograph Schmidt card, which I will likely never actually own due to its scarcity. There was on thing about the set that left me scratching my head, however. 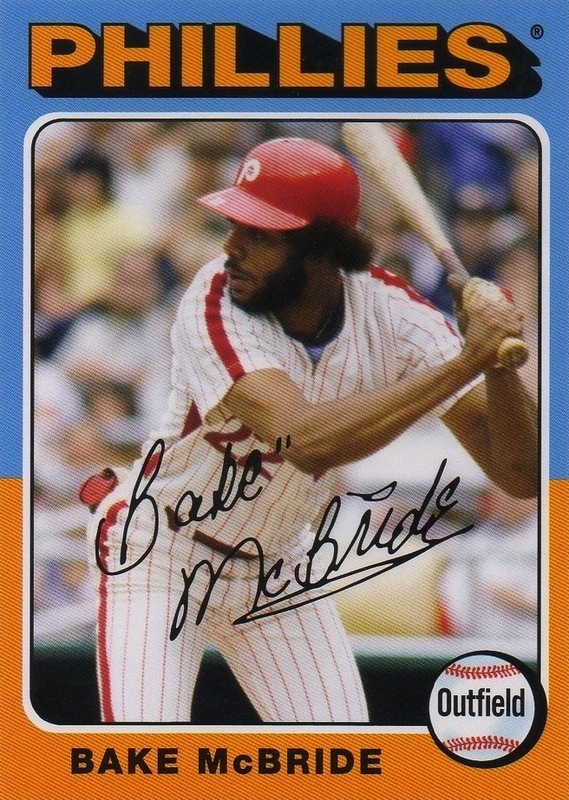 Why did they put McBride in the 1975 design as a Phillie? Don’t get me wrong — his card might very well be my favorite of the SPs. However, he didn’t join the team until after the 1977 season started. Because of this, there is no 1977 Topps card picturing McBride as a Phillie. This would have been an awesome opportunity to create a card that never was. 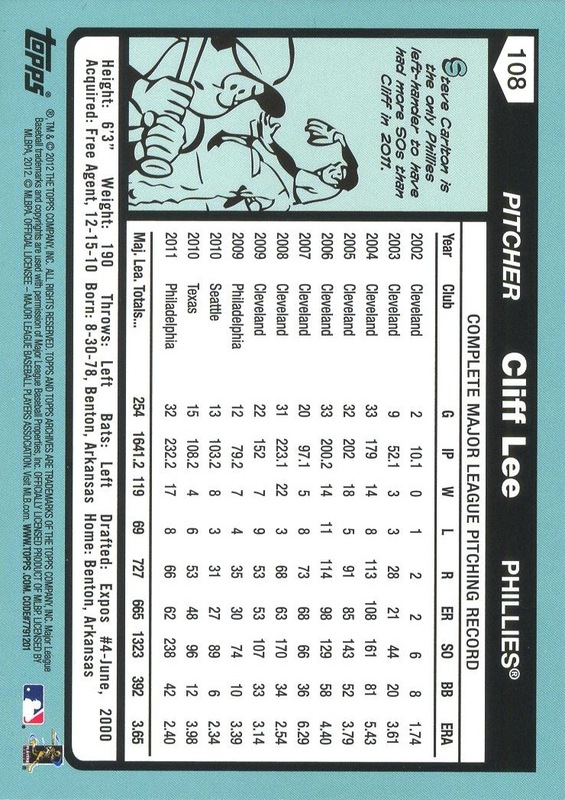 Actually, there are a number of similar Phillies cards I would have loved to seen: a 1975 Topps Tug McGraw; 1983 Topps Darren Daulton; 1980 Topps Bob Walk; 1994 Topps Fernando Valenzuela; or even a 1964 Topps card showing Jim Bunning in an actual Phillies uniform. 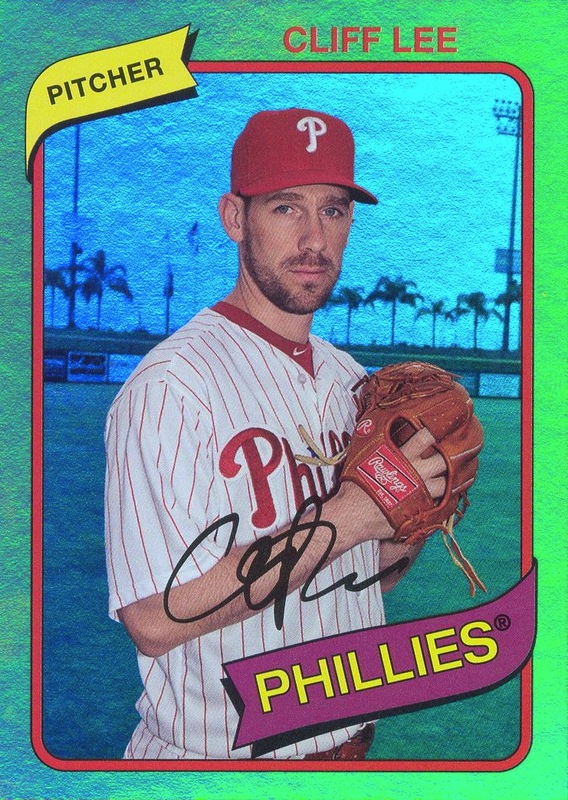 Cards that never were (but should have been) are a perfect fit for a set such as this — it’s a shame that Topps hasn’t quite figured out that one yet.